Are you tired of keeping a track of all the different gaming emulators you’ve to download, install or update to satisfy your gaming nostalgia? GBA4iOS, Nintendo DS, PSP, and what not! Well its time you get rid of them all and download Xiaojigame Emulator lovingly dubbed as Happy Chick emulator. Happy Chick emulator is a one stop shop for all your gaming needs. Whether you’re a fan of Nintendo or PlayStation, Pokémon Red or Super Mario, Xiaojigame Emulator’s got you covered. 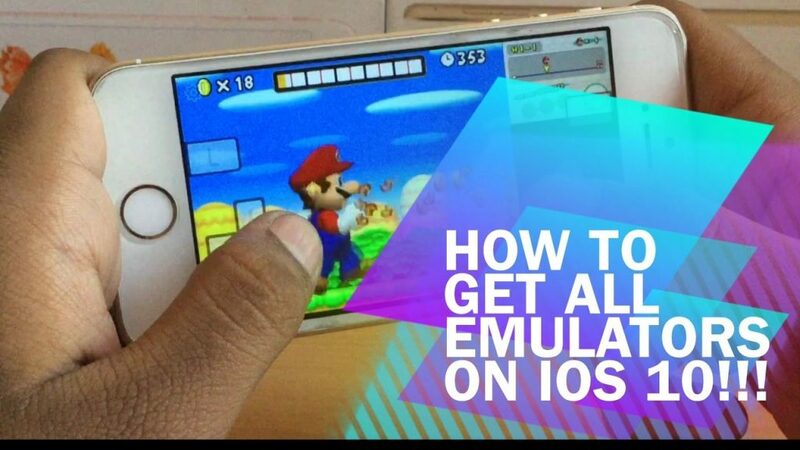 It not only supports all of the popular and not-so-popular console game emulators but it’s also completely independent of Jailbreak. If you have iPhone or iPad with iOS 10 or you don’t have a device with Jailbreak, you can still play all of your favorite console games using Happy Chick Emulator. The standalone GBA, DS and PSP emulators are no doubt packed with features and are a great choice if you have favorites in only one category. But, if you’re gaming enthusiasm spans over numerous consoles, then Happy Chick emulator gives you a single platform for all. Some of the major emulators supported by Xiaojigame Emulator are Nintendo DS, GameBoy Advance, Nintendo 64, PSP emulators and many more. When you install Happy Chick emulator you will find many other emulators supported by Happy Chick as well. You must be familiar with the fact that Apple has introduced built-in certificates in its iOS to make it harder for users to install any third-party apps that are not approved by Apple. That is why users have given such a positive response to Happy Chick Emulator as they have to install and trust only one application and they get the full package. The package lets the users activate any emulator supported by Happy Chick emulator. The method to install Xiaojigame Emulator is a bit lengthy. Although it takes a bit of your time and you have to install an additional app as well, but it’s all worth it in the end. So, let’s begin! First of all go to App Store in your iPhone or iPad and search for WeChat. Download WeChat and type in your phone number when it prompts you. You will receive a verification code on your phone number. Enter this code when WeChat prompts you for verification. Find the Search field in the top right corner and type Xiaojigame. Hit Enter. In the results there should be a single app with its name in Chinese script. At the bottom of the search menu, you will see iOS as an option. Click on iOS and a new dialog with some description for the Happy Chick Emulator will open. The description is also in Chinese but you will notice a blue link in it. Tap the link. This will take you to another page with an activation code. Copy this Code and select ‘Download for iOS’ button. Tap ‘Install’ as and when prompted. You might have to do this several times. At last Happy Chick emulator will install in your iOS device. You can see icon for Happy Chick Emulator on your Home Screen. To trust the app, go to Settings > General > Device Management > Shenzhen Misi Interactive Entertainment > Trust. Paste activation code that you copied earlier in Step 8. That’s it! Search for your favorite games and activate the emulators that you need to play them.